Back in the courtyard of our historic hotel, the Au Logis des Remparts, I’d join Shawn and his parents for a delightful breakfast of fruit, orange juice, pastries, eggs, and yogurt. It is the yogurt we most delighted in – creamy, freshly-made, and served in yogurt cups made of glass, with a matching lid. For the rest of the weekend, we savored the sunshine, while enjoying a delightful bottle of Rosé from Provence at the pool’s edge, staring out into the vineyards behind our hotel’s garden. We also mingled with the neighboring wine shop’s French Bulldog, Georges and enjoyed the delicate flavors of the town’s legendary macarons. Legend has it that nuns from a Saint-Emilion convent created the timeless recipe. I was ecstatic that they were gluten-free! 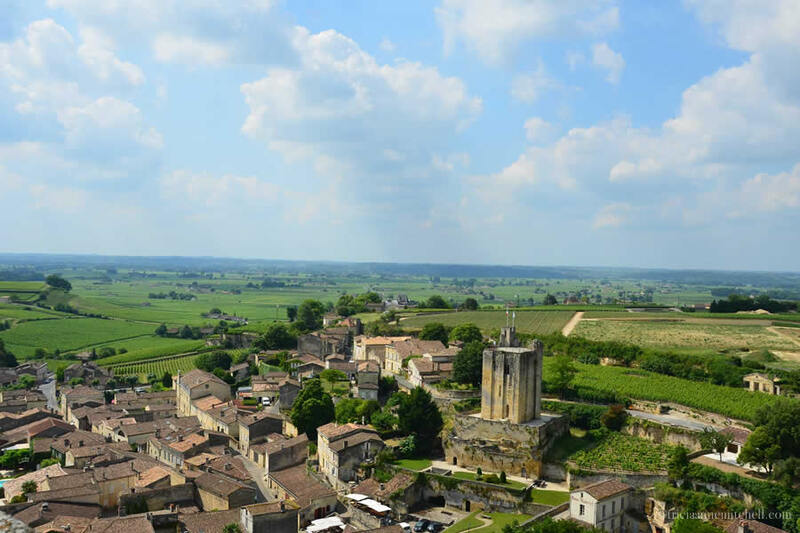 Shawn and I would work off those sweet-treat calories by ascending the 196 steps of Saint-Emilion’s church tower where we were rewarded with extraordinary views of the Old Town and the vineyards that surround it. 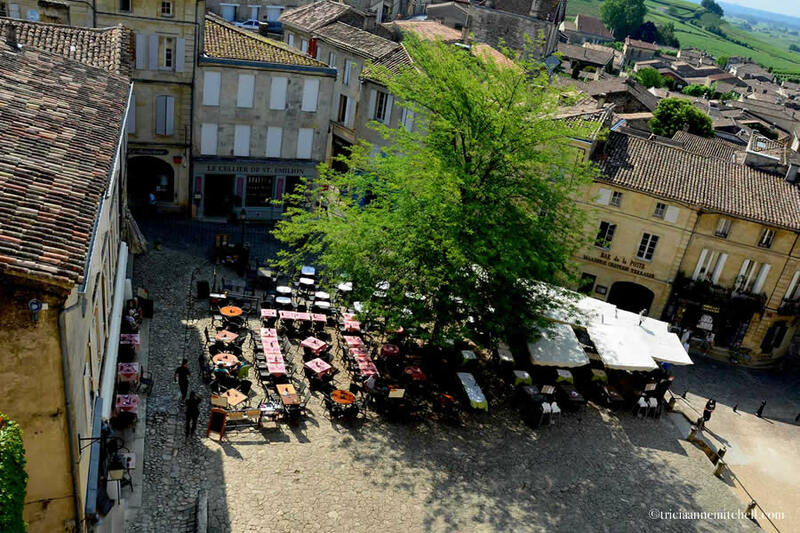 Lovely dinners enjoyed indoors and al fresco in the town’s main square, combined with a rustic picnic, rounded out our weekend of special moments in Saint-Émilion. Our first evening in town, the four of us were enjoying dinner in the atmospheric cellar of a local restaurant. 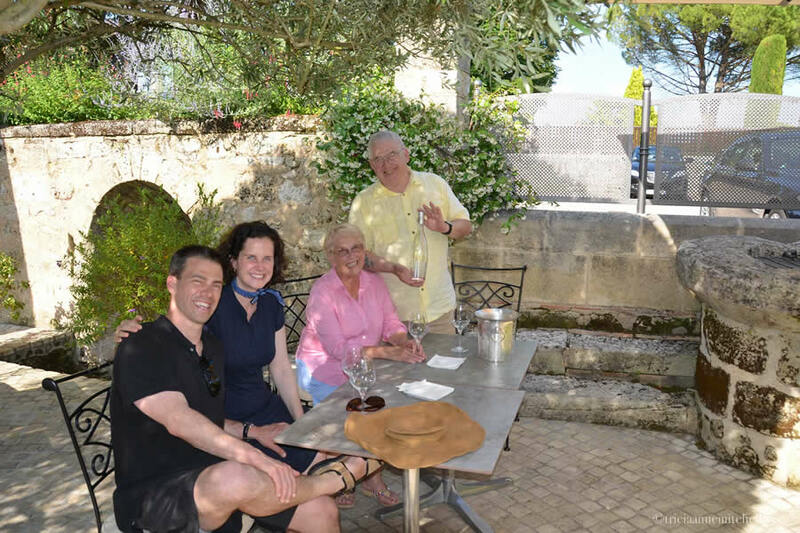 Beside us sat a group of Saint-Émilion residents, savoring their dishes and an enormous bottle of wine. Sensing my amazement at the beautiful bottle before them, the man at the head of the table asked us if we would like to sample the brilliant red wine. Politely accepting a splash, we learned that this generous man was actually a Bordeaux winemaker, enjoying a Friday evening with his staff. I’d heard that wine comes in a variety of bottle sizes such as Magnums, etc., but until this evening had never seen such a mammoth bottle such as our neighboring diners’. Based on this chart, I think the bottle was probably a Balthazar, containing 16 liters of wine! 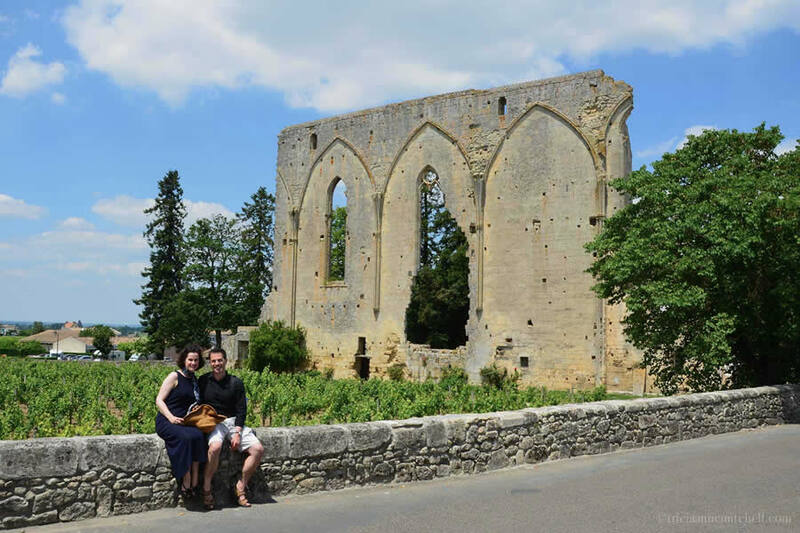 Before bidding adieu to Saint-Emilion, we stopped by the UNESCO World Heritage’s Site’s visitor’s center, picked up a walking-tour map, and enjoyed the historic structures at our own pace. The details of that mini walking tour follow. 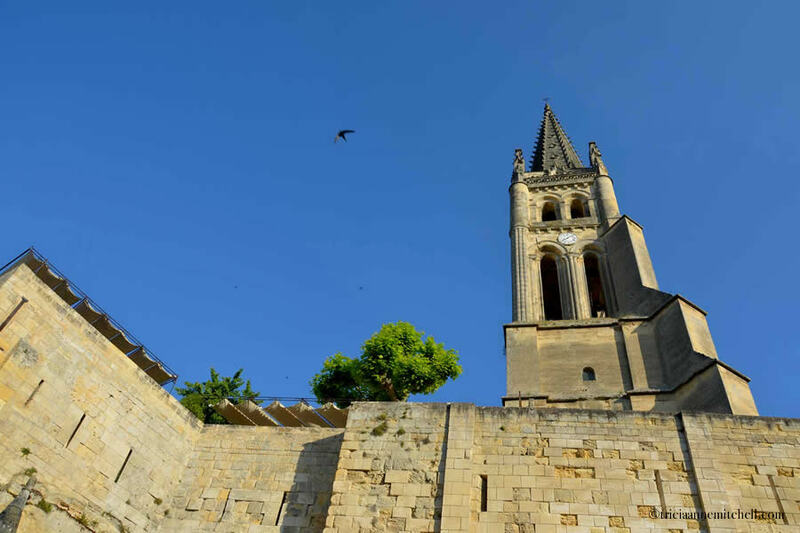 Built between the 12th and 16th centuries, Saint-Émilion’s bell tower is the town’s highest point. The church structure below the tower was hollowed out of solid rock more than 900 years ago. Its dimensions make it the largest monolithic church in Europe. 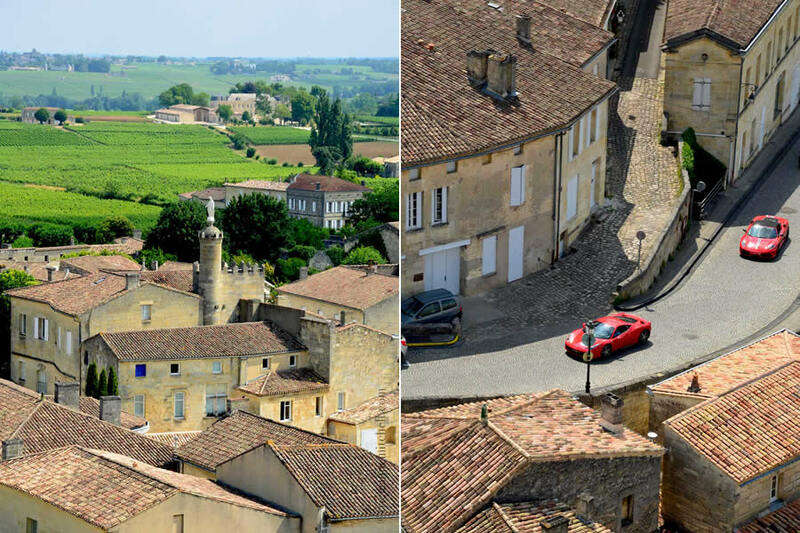 From the tower’s windy perch high above Saint-Émilion, we saw café-goers in miniature, and extraordinary views of the vineyards that enclose the town. 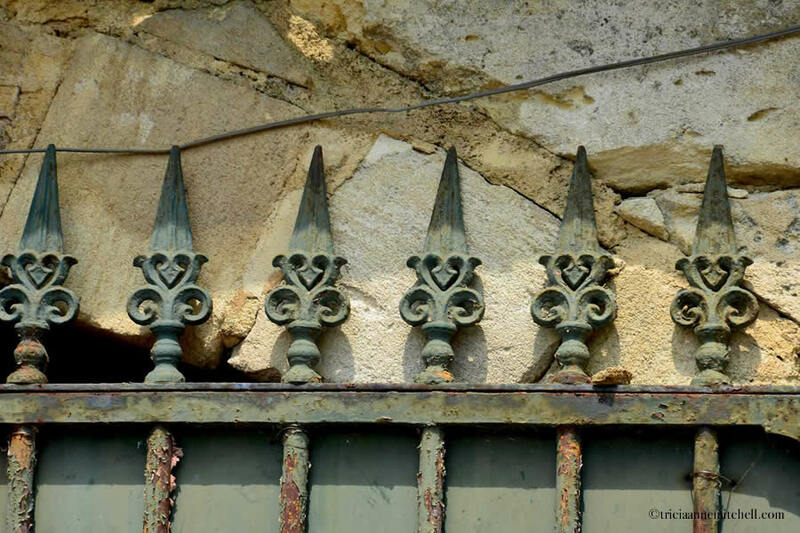 Saint-Emilion has four tertres. Made of cobblestone, and featuring iron handrails to assist even the most tipsy of pedestrians, the steep inclines give the calves a workout and easily gobble up high heels! The names of the four tertres are: Tertre des Vaillants, Tertre de la Tente, Tertre de la Cadène, and Tertre de la Porte Saint-Martin. Their cobblestones were supposedly imported by English merchants, who had come to Bordeaux for its fine wine. On the way to France, the ships would be filled with the stone, acting as ballast, and on the way back, the ship was filled to the brim with Bordeaux wine. In the 13th century, a Dominican convent was constructed here, only to last less than a century. There was once a church, a cloister and a bell tower. All were destroyed during the Hundred Years’ War, leaving only this fragment, featuring a wall of Gothic arches. Today, only the shell of the 17th-century convent (couvent) remains, but we enjoyed strolling around the vineyards that surround it. We liked peeking through the convent’s crumbling windows, imagining what its interior once looked like. We can thank the Ursuline nuns for having crafted the recipe for the city’s celebrated macarons! Terracotta rooftops as far as the eye can see. 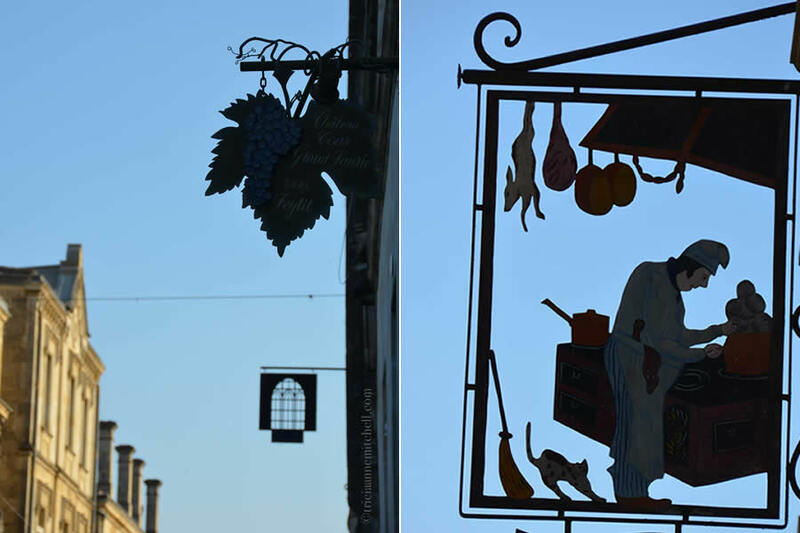 The silhouettes of specialty shops, just as Saint-Émilion was waking up. 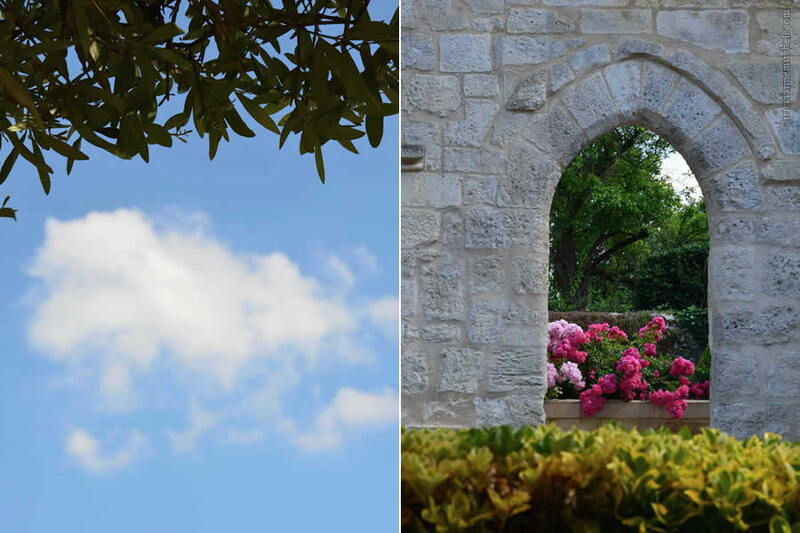 The belltower of Saint-Émilion’s monolithic church (left) and a colorful waterfall of red and pink geraniums, overflowing from a window box (right). Going ‘on safari’ among Saint-Émilion’s vines. We are facing the ruins of the Ursuline Convent. Saint-Émilion’s monolithic church. Just below the walls seen here is the solid block of stone from which the church foundation was hollowed out in the 11th and 12th centuries. 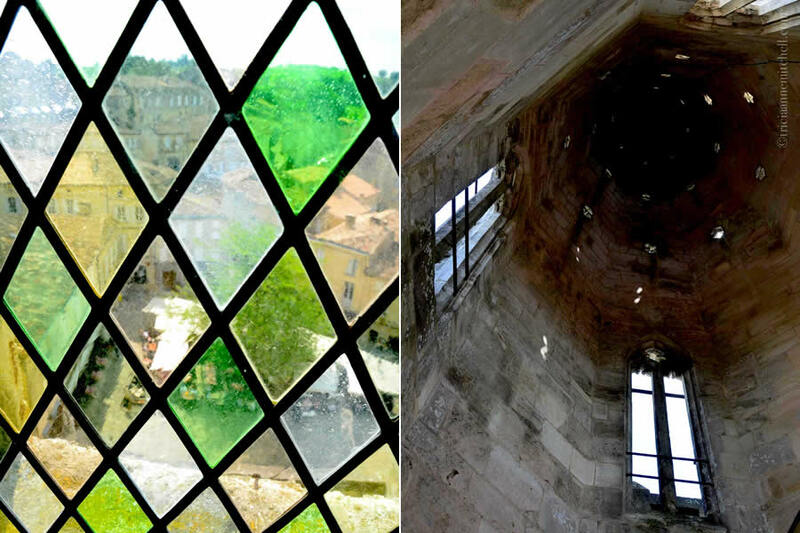 A Saturday morning found us ascending the belltower of Saint-Émilion’s most recognizable church. Here, we paused to admire the kaleidoscope-like aerial view of the square below (left), and the inside of the steeple, looking up (right). We lucked out with the weather on the day of our climb. In the center of the image is the King’s Tower, which dates back to the 13th century. Historians today are still stumped as to why it was constructed, pondering if it served as a symbol of power, or acted as a defensive fortification. A visitor, with his pet dog in tow atop the King’s Tower (left), and, looking through a peephole while atop Saint-Émilion’s bell tower (right). 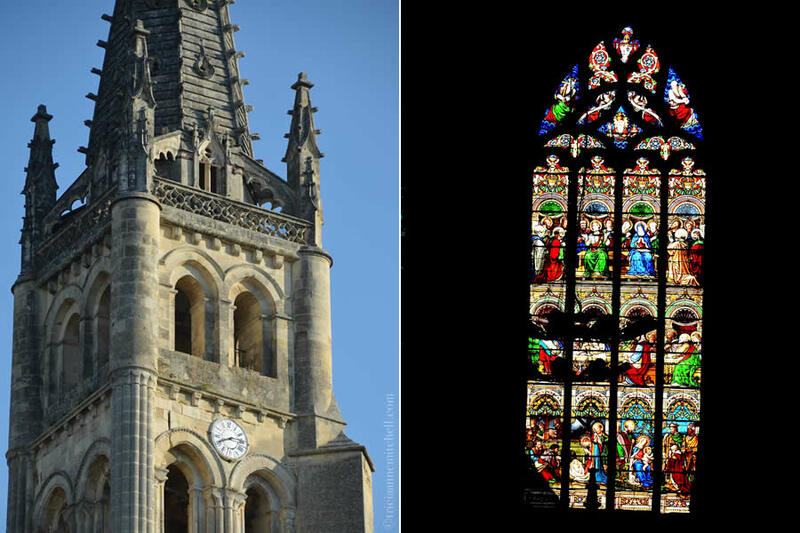 The bell tower of Saint-Émilion’s Monolithic Church (left) and a jewel-toned stained glass window in the town’s Collegiate Church. 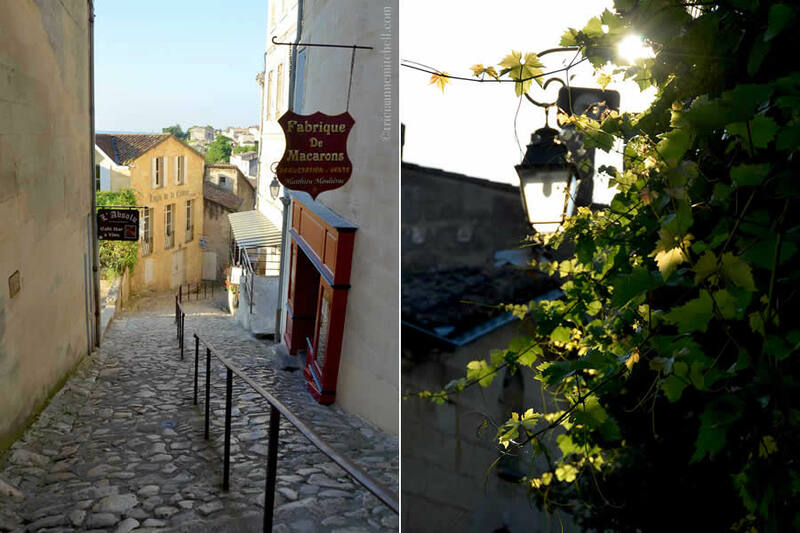 Getting acquainted with Saint-Émilion’s legendary tertres, and vine-accented streets. On the left, the steep Rue de la Cadène, and the Matthieu Mouliérac macaron shop, where we purchased some fine almond-infused macaron cookies. These gluten-free macarons indeed had ‘freshness and flavor’ just as the brown bag suggests (right). A menu sign (left) and one of my favorite details spotted in the town (right). 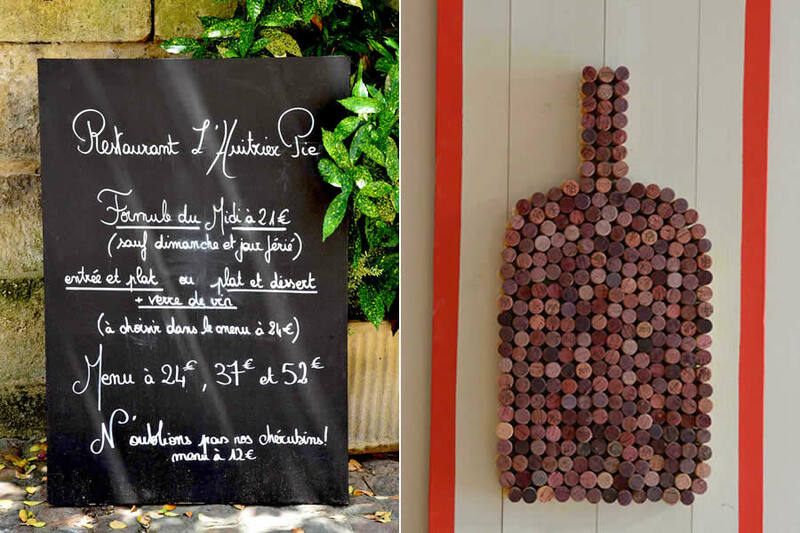 This likeness of a wine bottle was fashioned out of corks, and tinted by Bordeaux wine. 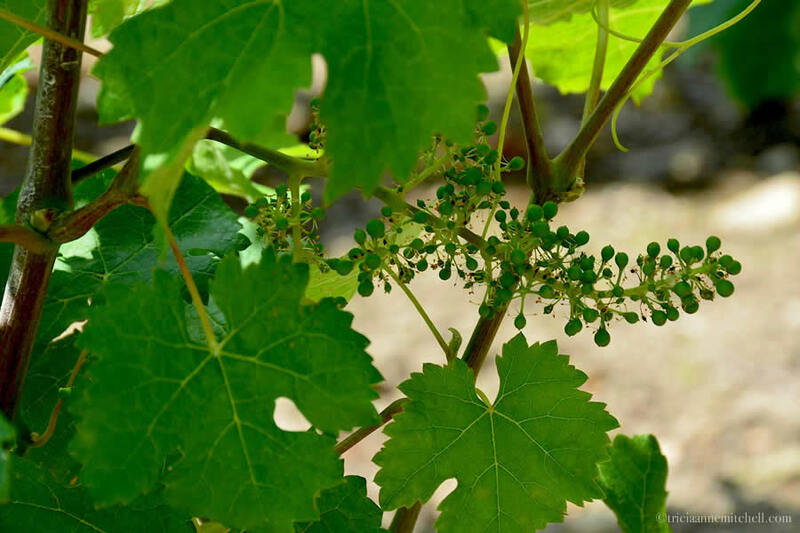 Baby grapes in a vineyard near the former Ursuline Convent. The ruins of the Ursuline Convent peek out above verdant grapevines. We captured some of our favorite photographs from this vantage point. 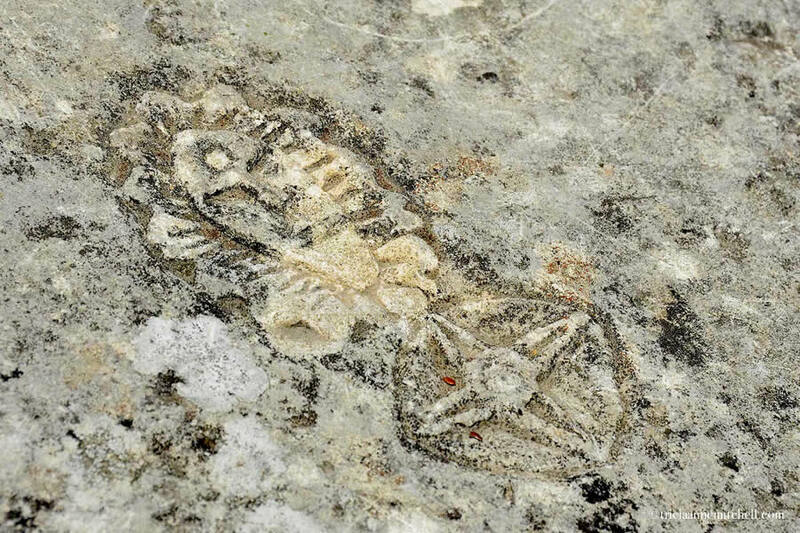 Centuries-old graffitti carved into limestone. 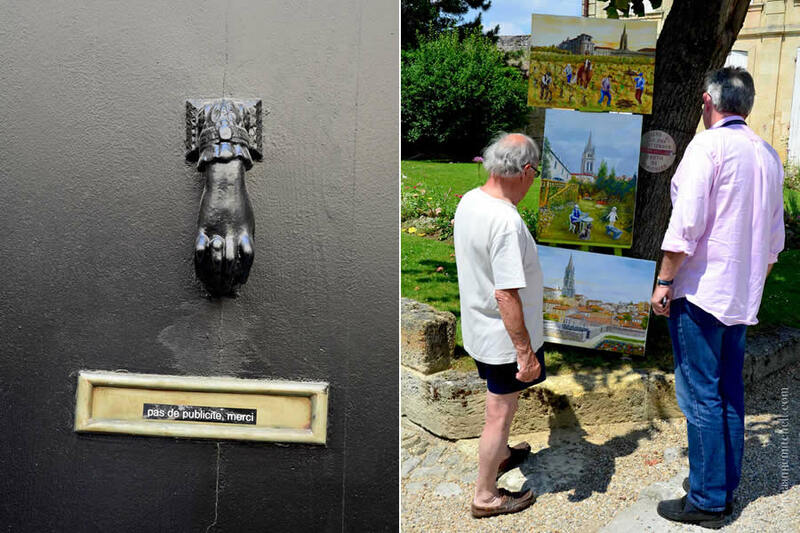 A door knocker (left) and an artist showcasing his Saint-Émilion oil paintings (right). The Cloister of the Collegiate Church. Pausing before the remains of a 13th-century Dominican convent. It was destroyed during the Hundred Years’ War, leaving only a hint of its once-grand self. A bride and groom squeezed into a vintage car, creating a timeless image. 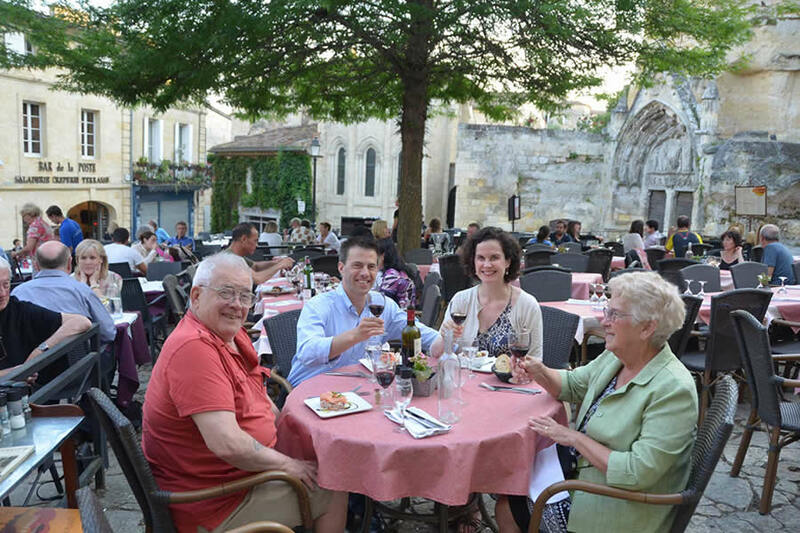 In the shadows of Saint-Émilion’s Monolithic church (background) we enjoyed dinner. 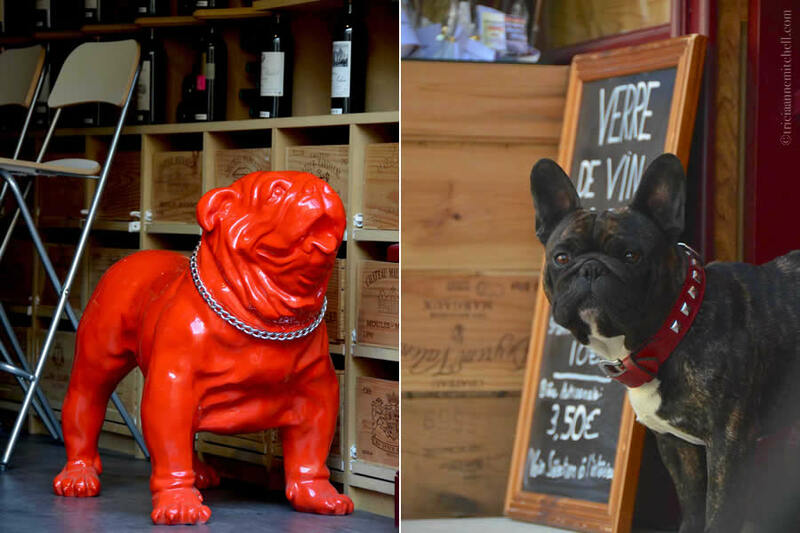 Next to our hotel was a quaint wine shop whose canine ambassador, Georges, regularly held court on the front terrace. We thought it was fitting that his red cousin was there to keep him company too! While in Bordeaux, perhaps it was a sin to savor a bottle of wine from elsewhere in France, but we loved this perfectly-chilled bottle of Rosé from France’s Provence region. In the shadows (left) Shawn enjoys a bottle of Rosé, before dipping into the swimming pool. On the right, the airy leaves of a Horse Chestnut tree. 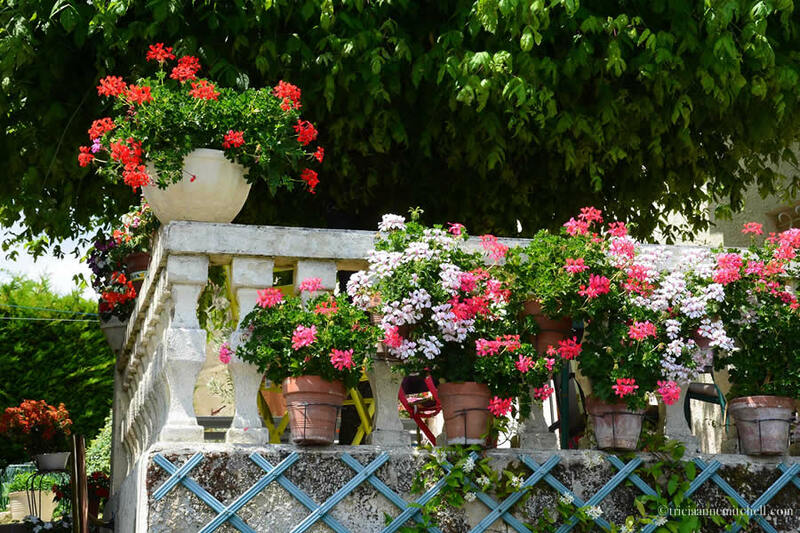 Slowing down, and savoring the moments in the garden of our hotel. Saint-Émilion is about 45 km (25 miles) east of the city of Bordeaux. 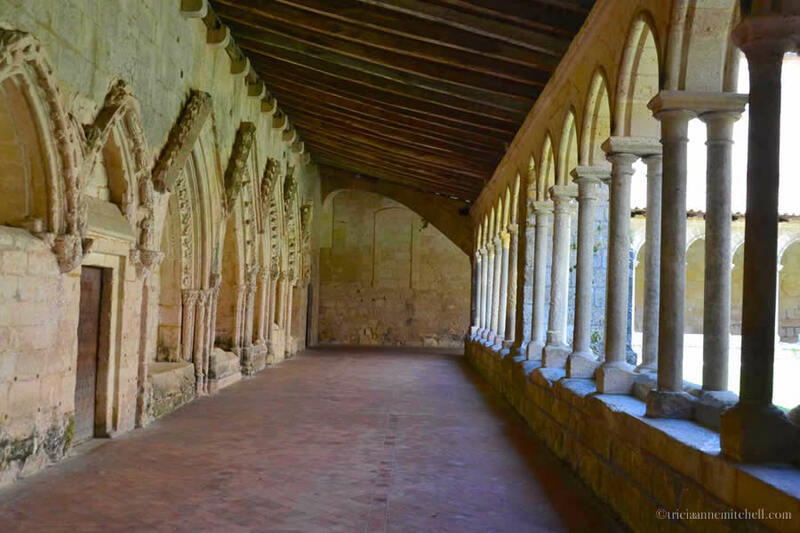 Basing ourselves out of Bilbao, Spain, we spent a long weekend in Saint-Émilion. 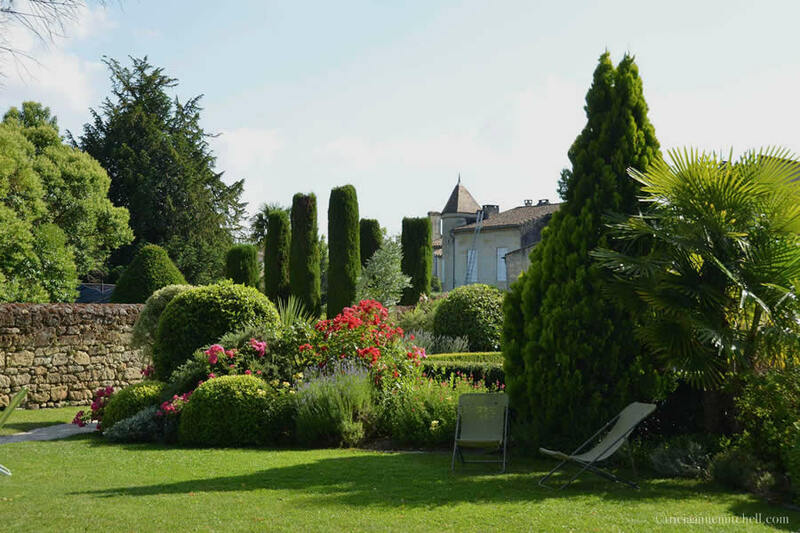 Shawn’s parents treated us to two wonderful nights at the Hotel Au Logis des Remparts (affiliate link). We loved the boutique hotel’s pretty courtyard, where breakfast was served. (I especially enjoyed the fresh yogurt. Served in little glasses, it felt as though it came straight from an artisanal creamery.) We spent many many happy hours taking a dip in the hotel’s swimming pool, then enjoying Rosé wine from Provence, poolside. La vie en rose indeed! The Matthieu Mouliérac macaron shop is where we purchased delicious macaron cookies. Initially I was skeptical that any of their sweet treats were gluten-free, but the young salesman assured me that the macarons were indeed so. 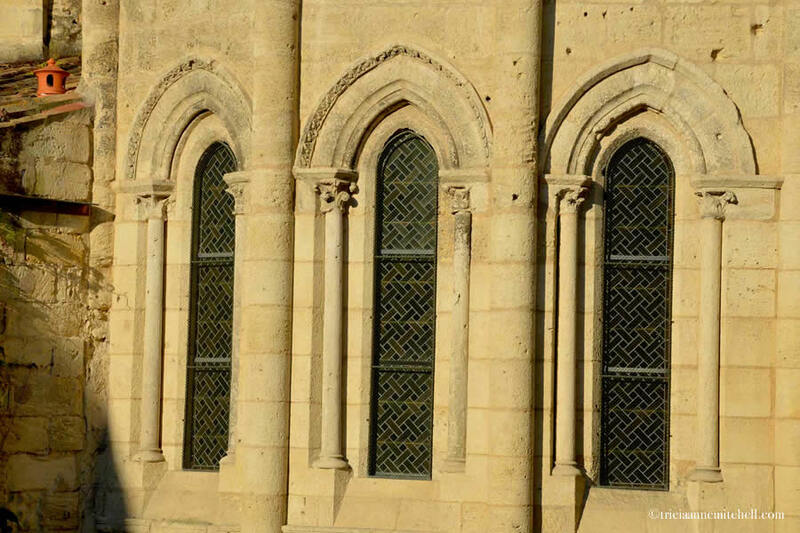 See the Saint-Émilion and Bordeaux tourism websites for more details. Looking for more inspiration as you plan your trip to France? From Burgundy to Mont-Saint-Michel, this link contains an index of all my posts from France. Gorgeous pictures … what wonderful blue skies and everything is bathing in beautiful sunlight. Wow indeed. Chiefmadapple, we were certainly lucky with the weather – perfect for an impromptu picnic, and dips in the swimming pool. While assembling this post, about one year later, I found myself yearning to return to this beautiful part of Europe. Thank you for your comment, and wish you a wonderful day that’s full of a similar dose of sunshine. Love your post and beautiful pictures! We plan to visit France one day, this motivates me, even more! Thanks for sharing! Shellie, it’s nice to hear that this post added more incentive to visit France. Saint-Emilion had so many picturesque scenes, that it was hard narrowing down pictures for this glimpse of the historic town. I do hope you may someday soon be on a road leading to Bordeaux. Thank you for your comment. What a heavenly place to visit. You do find the most lovely spots and always find the best shots. You really know how to travel and make the most out of every day. It´s nice you got to visit this place with your in-laws as well. I love the quote on the top. Perfect! Darlene, merci for your kind words! We were lucky that Shawn’s parents were based out of Bilbao, Spain for a few weeks, as that made a weekend trip here possible last year. :) Since you’re now in Spain, though in a different part of the country, perhaps you can take a jaunt to Bordeaux once you’re all settled. WE are hoping to do more exploring once settled. This is a good idea. We’d love to return to Bordeaux and do a bit of ‘village hopping’, just slowly making our way from one town (and winery) to the next. I look forward to reading your travelogue once you do, Darlene! Nice post…your weekend certainly does sound like it had some “moments to remember” :) Beautiful pictures!! Imagine, thank you for stopping by and for your thoughtful words about this post. We certainly lucked out with the weather during this weekend in Bordeaux, making it a treat my first morning to capture the details of this idyllic town. What a lovely summer day post. Thanks, Cornelia. 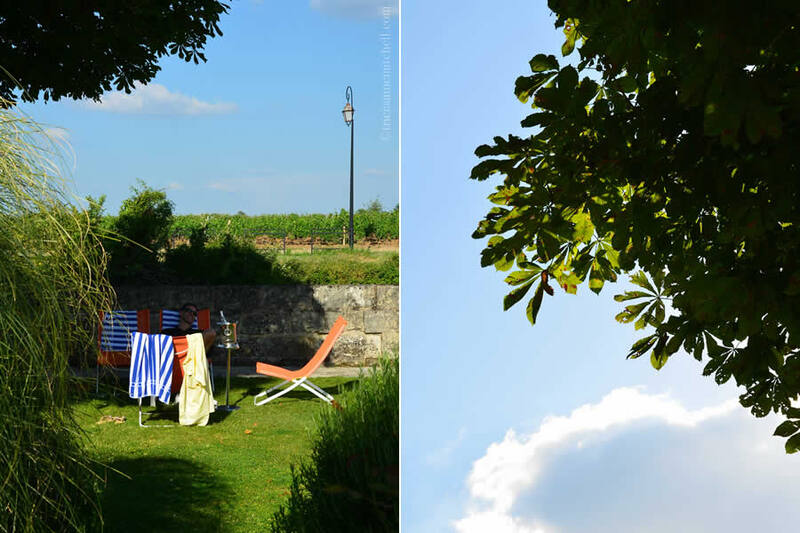 When I remember our long weekend in Saint-Emilion, the images that come to mind do epitomize perfectly-relaxing summer days. What wine areas have you most enjoyed exploring? Tricia, I haven’t done much of wine tasting or exploring wine areas yet, have find the right partner in crime for that. Lovely beautyful peacful…i wish i were there…. I have heard so many good things about Saint-Emilion Tricia and now I can see why! Beautiful pictures,wishing to visit one day! Nikita, thank you for your kind words. 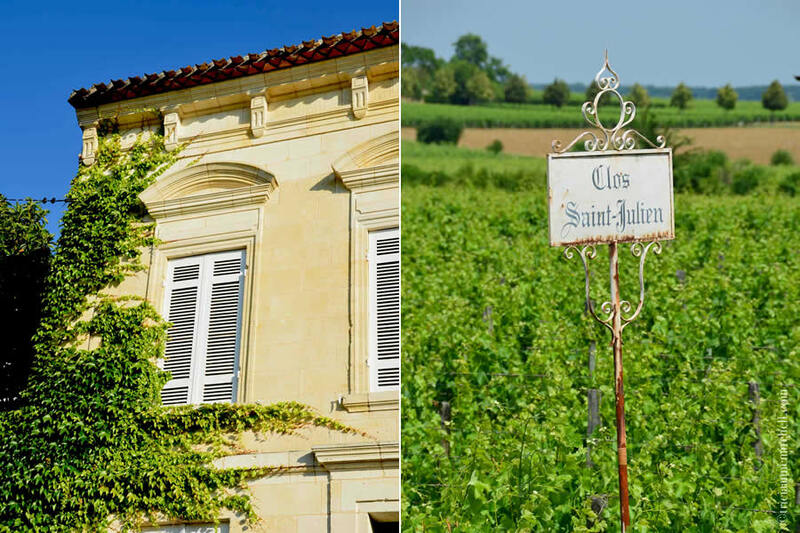 Here’s hoping you may someday soon be heading to Saint-Emilion! Wish you a nice weekend ahead. How interesting that the Ursulines invented the macarons. Our daughters went to an Ursuline school for their secondary schooling, where they learned all about the story of St Ursula and Angela Merici, who founded the Ursuline order. I don’t think they learned that sweet morsel of information though! More like they should make a batch for me to demonstrate their learning! :) If they give it a go, sounds like a fun story for you to tell, Carol! That must have been a very nice trip. You had great food and great wine. Your pictures are beautiful. I visited a whiskey distillery and chocolate maker in Brooklyn two weeks ago. I posted an essay about it on my blog at http://germch55.wordpress.com. One of the reasons I went there was because of that discussion that we had recently. Very nice, detailed and well written piece. Lovely pics to complement it too. The place must be great no doubt but your writeup made it come alive, as it were. I think the countryside in UK and France is brilliant because have been there and seen for myself. Thanks for your insights. Kamal, where in France and the UK did you visit? I agree that both countries have pastoral landscapes. 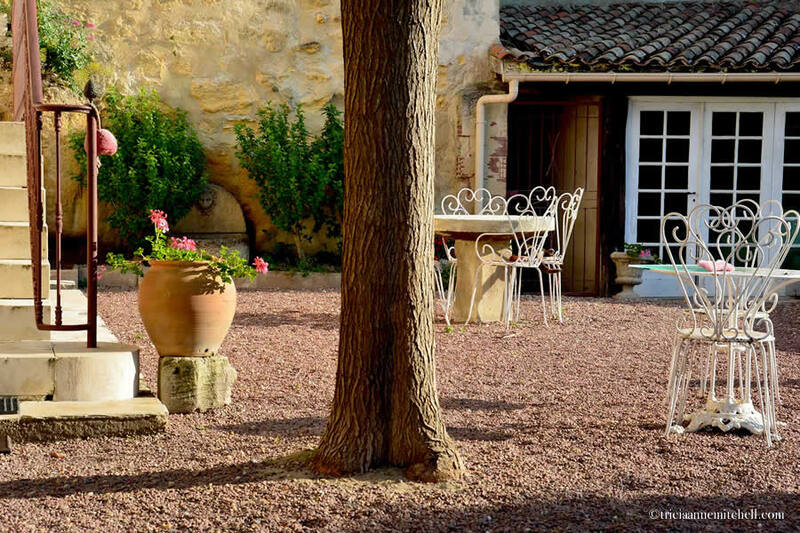 France’s Burgundy region also comes to mind – there’s just something special about stone homes dotting the countryside! Thank you for reading, and for your kind words. Wish you a lovely weekend ahead. Kamal, it sounds like you’ve seen some spots I’d like to explore in the UK! One branch of my family comes from Yorkshire, England, and so I hope to get there someday soon as well. I’ve actually been lucky to have twice visited India. The first time I went solo to the so-called ‘Golden Triangle’ visiting New Delhi, Agra, Jaipur and Pushkar. Several years later, my husband, Shawn, joined me and we saw a bit of the south: Mumbai, Goa, Panaji, Fort Kochi, and Munnar. We were there for a month, and that wasn’t nearly enough time to enjoy India. In what part of the country do you live? Amazing. You’ve visited some lovely places. We are travelling to Munnar in September :) I am about 120 miles from Mumbai. Wish you fun travels there, Kamal. We have special memories of our week or so staying among the tea fields! Love that Saint-Emilion still retains some of the old shop specialty signs. Those handsome signs do lend a timeless flair to the town, Bespoke Traveler. I also appreciate that a deluge of chain stores and restaurants haven’t pushed out the traditional shops. 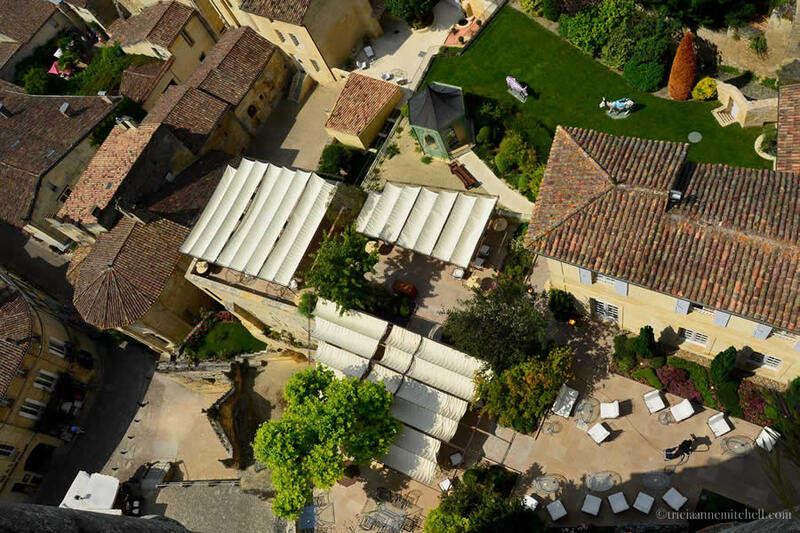 I’m wondering if Saint-Emilion has strict zoning rules in place to prevent that from happening? Happiness if it does! So much of our travels have been spent gazing at street after street of global brands. Lorniemcv, glad to hear (and see) that you also had a magnificent time in Bordeaux. Wish you more fun travels and happy wedding planning too! This sounds like a dream! Do you speak french or was it easy enough to get by on enlish? MJ, I joke that I can “get in and out of mischief” with my French. :) Whenever I go to France, I do look forward to brushing up on my language skills. Elsewhere in France, that’s worked, but in Saint-Emilion I found that so many of the residents spoke English, that we chatted en anglais instead. I suppose Saint-Emilion’s residents working in the tourism sector are armed with a good command of English since the town is such a popular destination for international visitors to Bordeaux. Randall, merci for that high praise – it means a lot! You’re right about history adding a wonderful layer to a place. Having spent a few days in Saint-Emilion, I no longer look at a bottle of Bordeaux wine in the same way as before. Wonderful photos! I’d like you to take some photos also here in Crema! Damla, what a coincidence as we’re now in Northern Italy and considering going to the Expo in a few days. As a result, I loved your recommendation to stay in Crema. The only challenge is that we’re now to the west of Milano, in Turin. We shall see! Thank you for your comment and recommendation. Nice collection of pics I must say. And this is very informative and motivational for one who has not visited Saint-Emilion yet. I really enjoyed reading it and felt like enjoying nice moments, it was so mesmerizing. Glad to hear that you found the post to be informative and inspirational, Trip Beam! The French countryside… what dreams are made of, or mine at least! 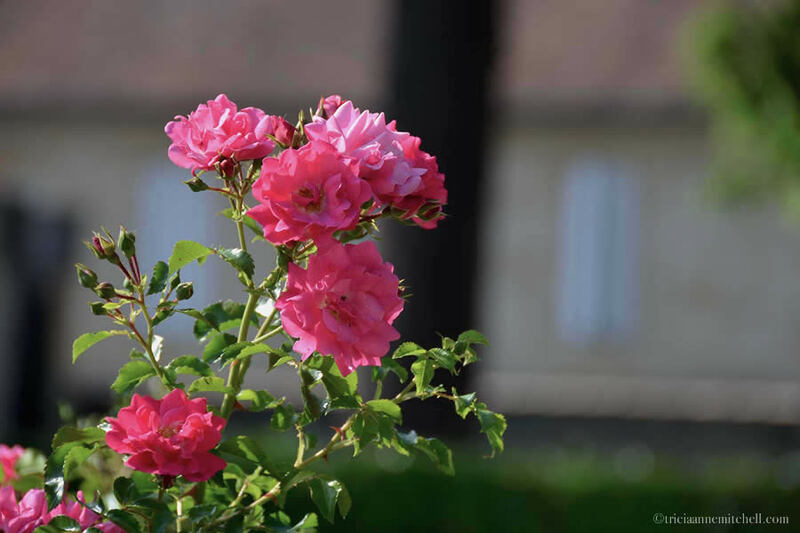 Ever since high school, when I began French classes, I’ve dreamed of ‘la vie en rose’ with France as my backdrop. 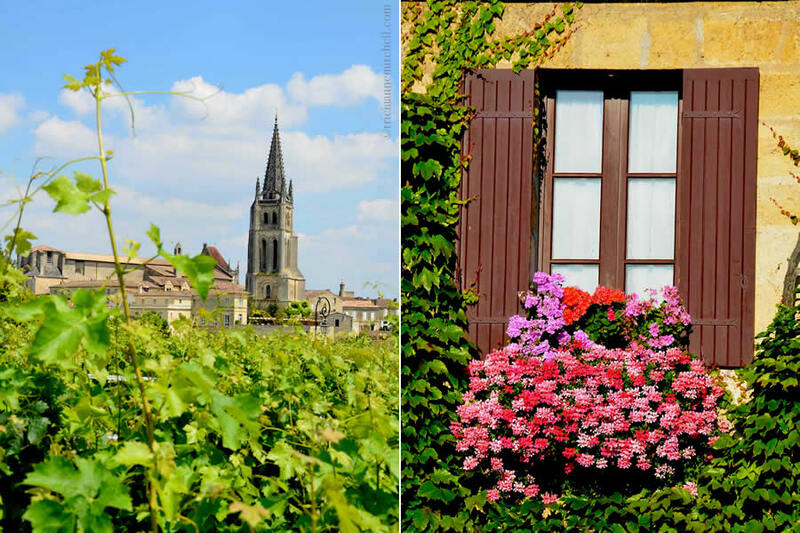 My husband and I had long wanted to visit Bordeaux, and this long weekend in Saint-Emilion strengthened our desire to spend even more time there. What specific parts of France are on your wish list, Celia? Same same! I’ve had a small obsession with France since I was 13 or 14. I studied French at university, but I’m yet to actually go. Bordeaux is definitely a place I want to visit, as is Provence and Burgundy! Celia, Burgundy, the Loire Valley, and Bordeaux have been some of our favorite regions to explore. 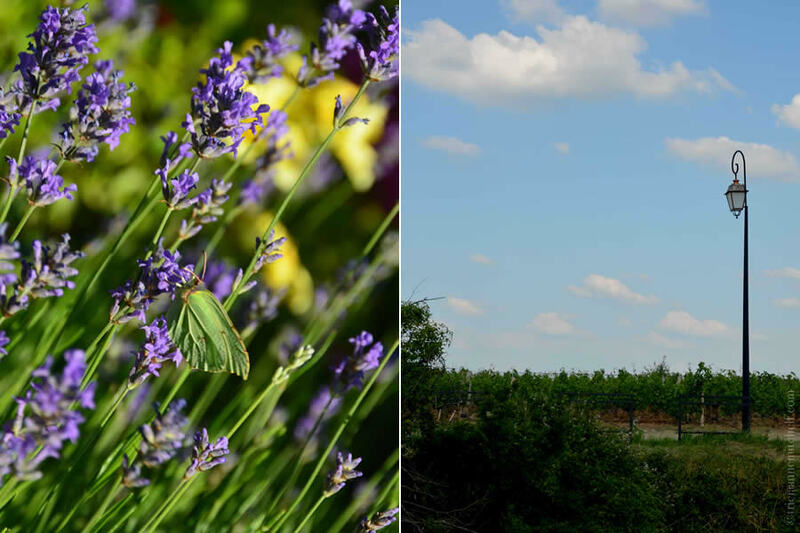 I’ve been longing to visit Provence as well – perhaps some summer when the lavender is in full bloom. Here’s hoping you’ll soon be on a road leading to France!